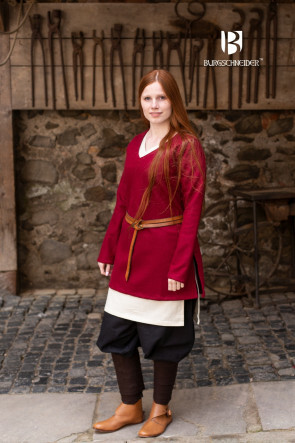 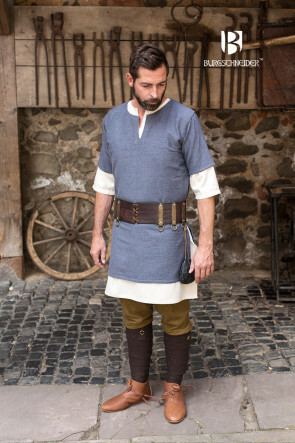 The tunic was probably one of the pieces of clothing most frequently worn during the Middle Ages. 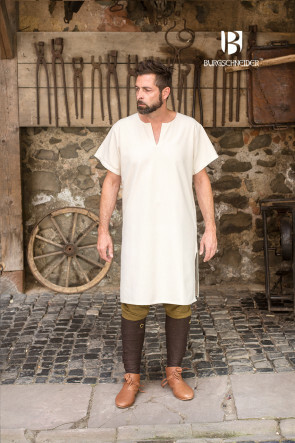 Formerly used as undergarments during antiquity, during the Middle Ages it became an outer garment for rich and poor alike. 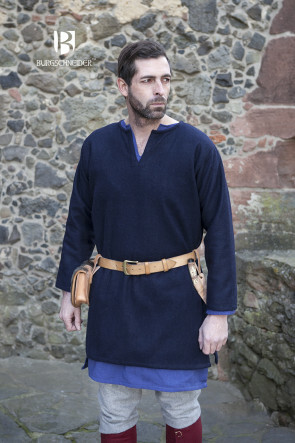 Members of the lower strata usually made their tunics from materials that were regionally available and easy to handle, such as linen or wool, while nobles had the fabrics for their tunics imported from faraway countries, in order to have their clothing fashioned from silk and embroidered with elaborate patterns. 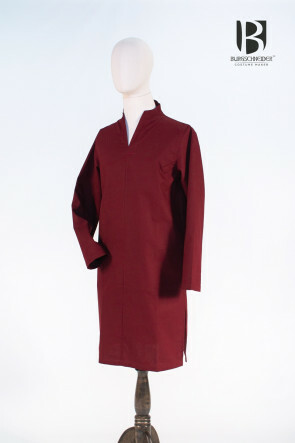 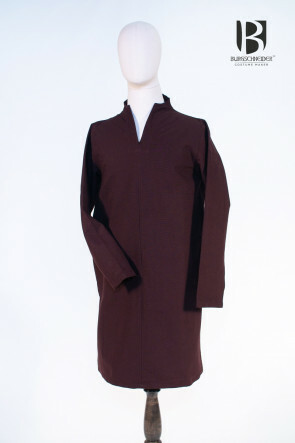 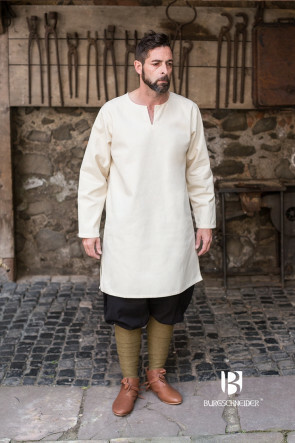 Consequently, the nobility preferred to wear their tunics particularly long to flaunt the fact that they could afford such exquisite materials. 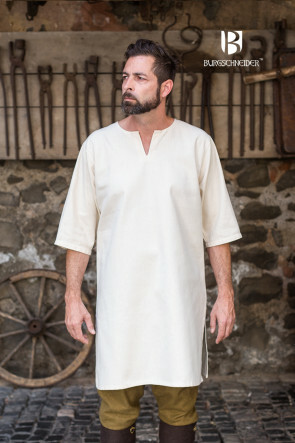 Colors, too, served as a visual distinction from the natural and undyed tunics worn by the lower strata. 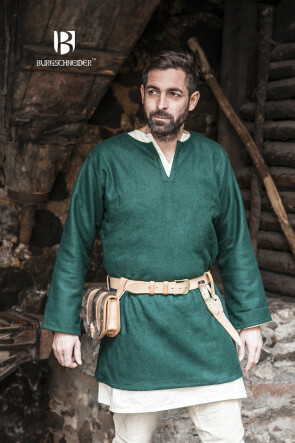 The Middle Ages, spanning the 6th to the 15th centuries, are subdivided into three epochs: the Early Middle Ages, the High Middle Ages, and the Late Middle Ages. 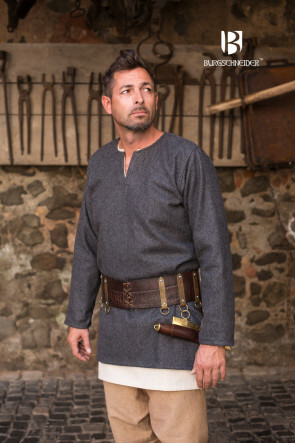 In the Early Middle Ages, the tunic of the common people was rather plain. 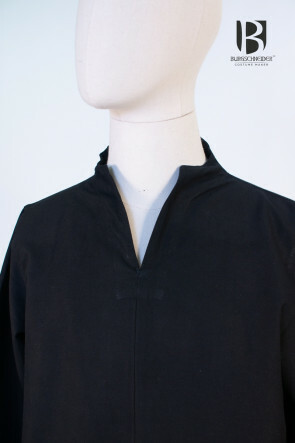 Its cut was simple, and findings evince very little variation. 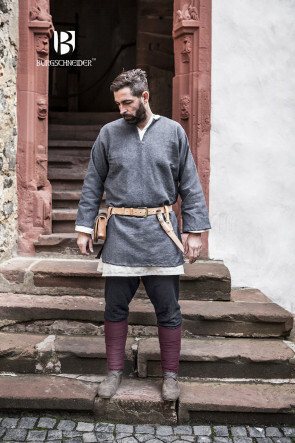 This, however, changed with the passage of time, and many more individual, varied, and complex cuts can be linked to the High Middle Ages. 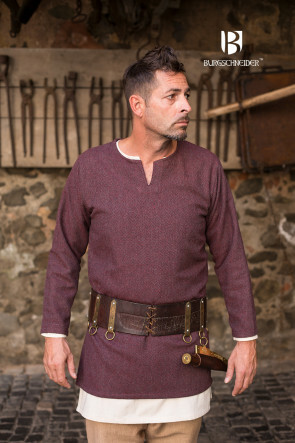 The nobility, in particular, continuously advanced the tunic by customizing its cut, until it no longer had anything in common with the garb worn by the peasantry. 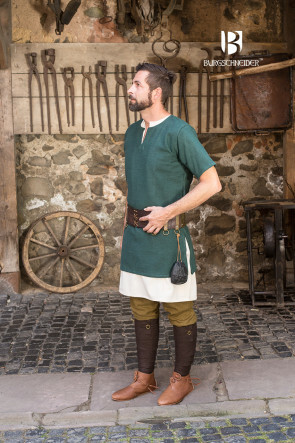 The garments of the rich became more and more form-fitting and tight, whereas the peasants and the other lower strata relied on comfortable, wide clothing as befit their hard labor. 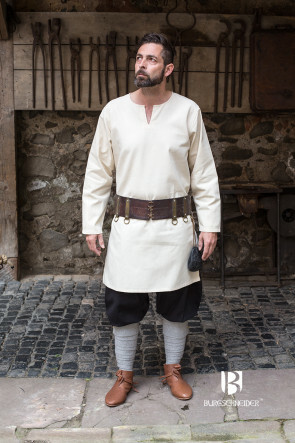 At the turn of the Late Middle Ages, people (especially the nobles) began to greatly appreciate fashion and individualized garments. 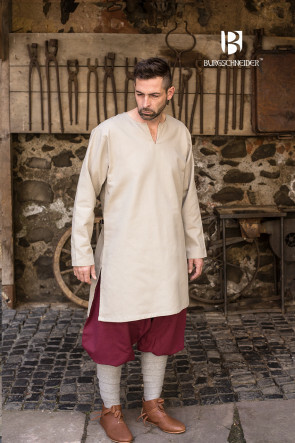 The cuts transmuted further and further from the original piece of clothing and, at the same time, completely new habiliments arose from scratch. 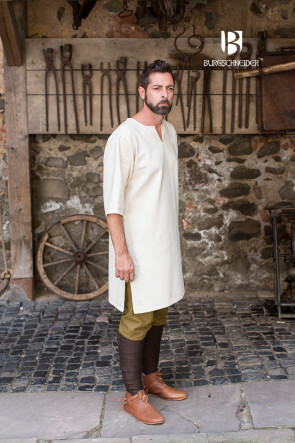 Over time, the tunic fell out of fashion and lost its significance. 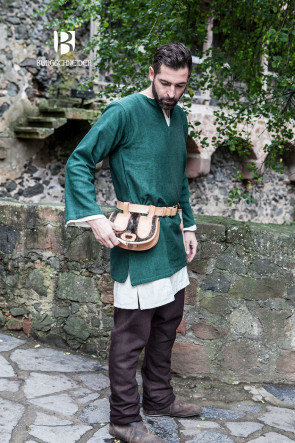 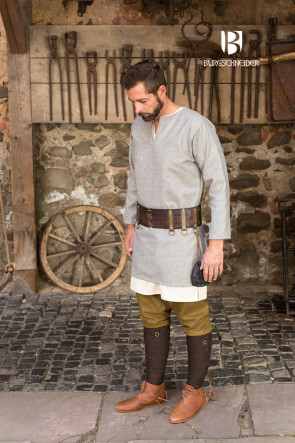 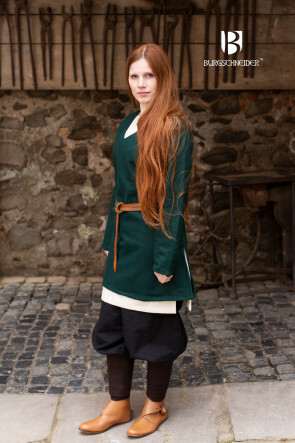 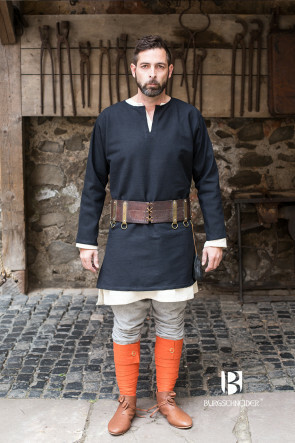 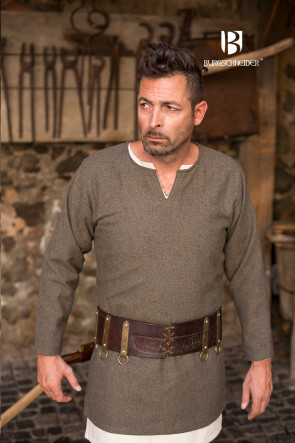 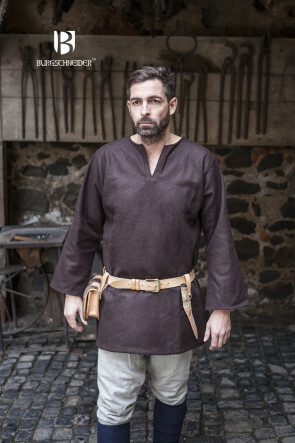 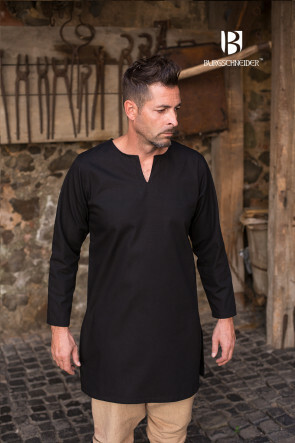 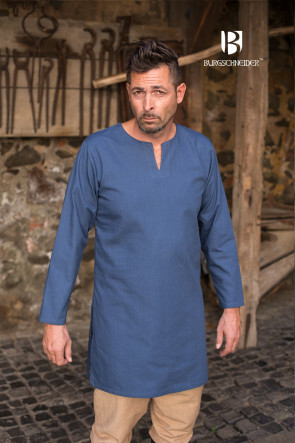 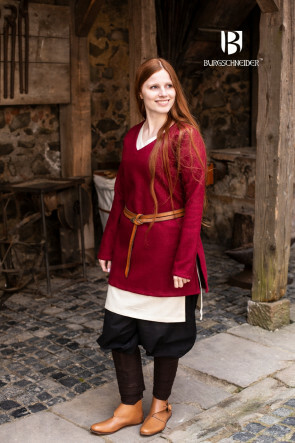 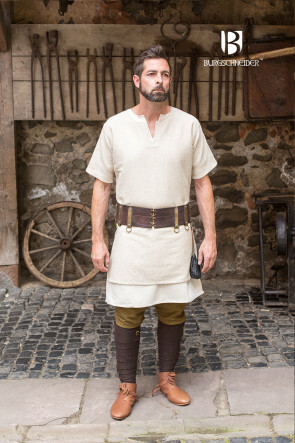 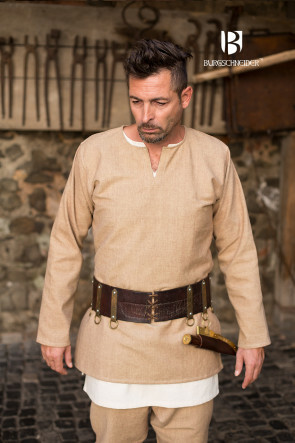 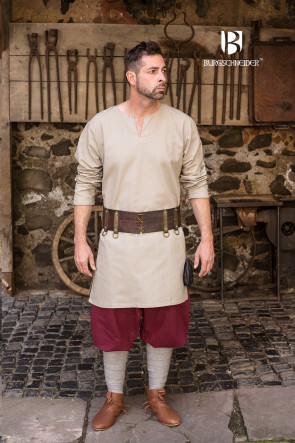 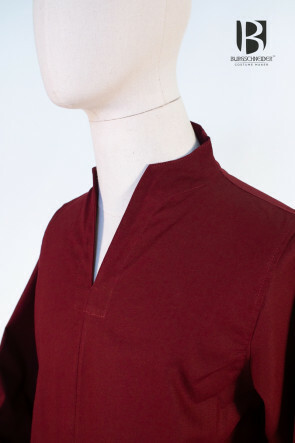 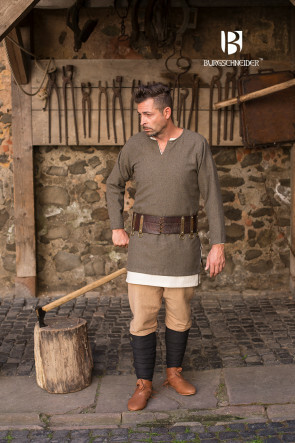 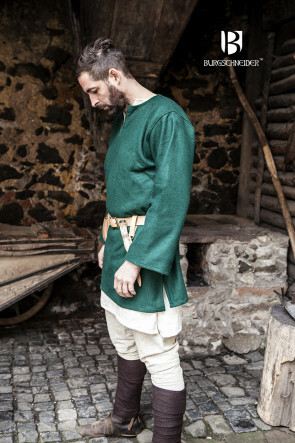 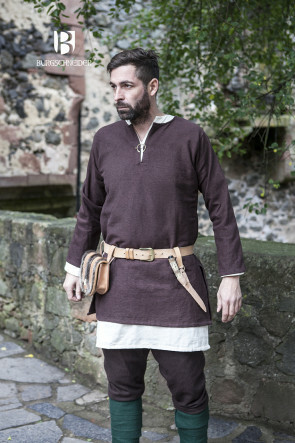 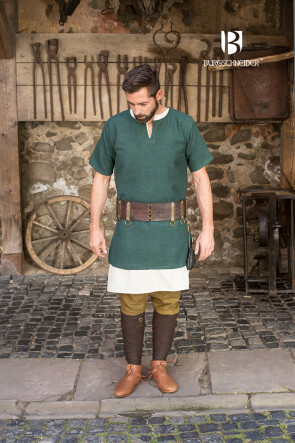 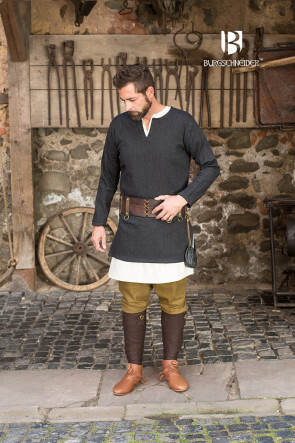 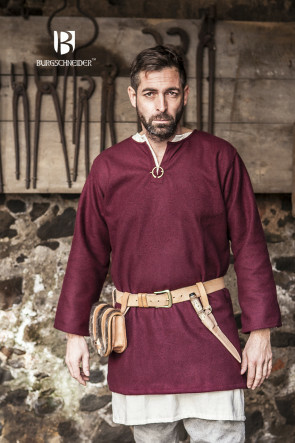 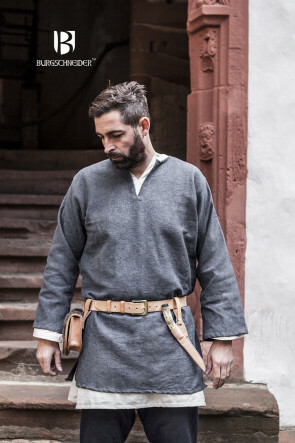 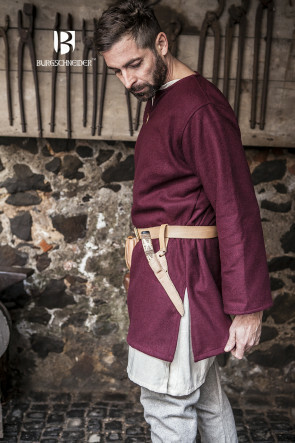 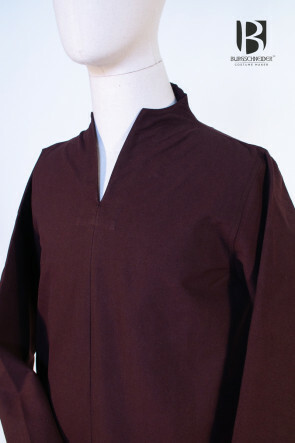 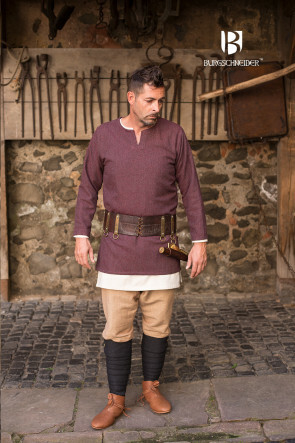 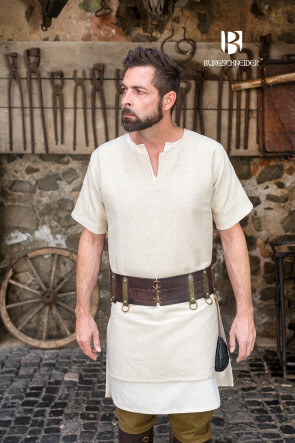 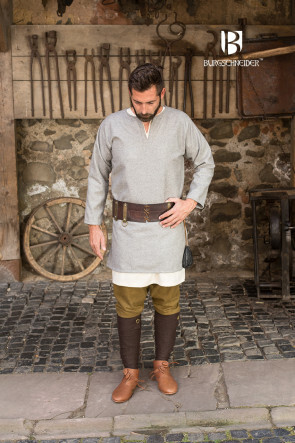 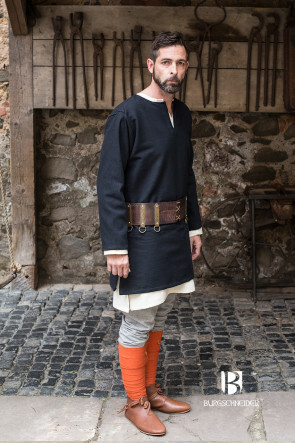 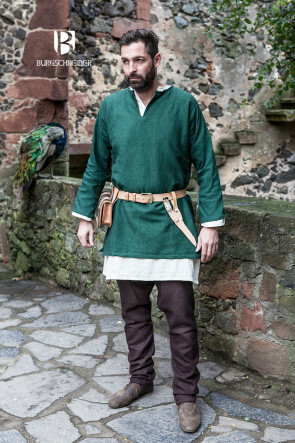 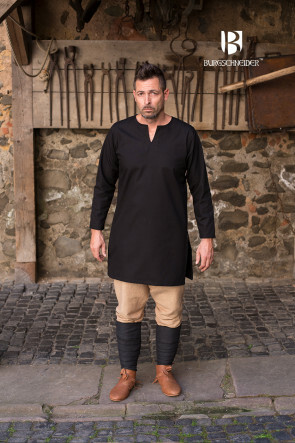 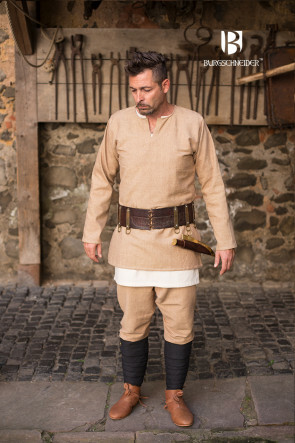 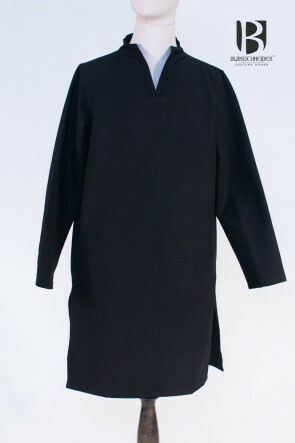 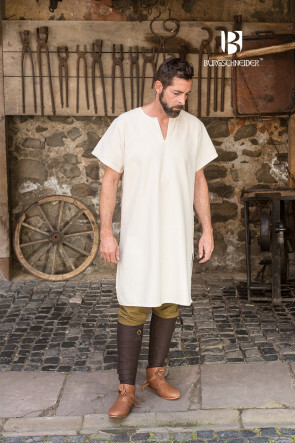 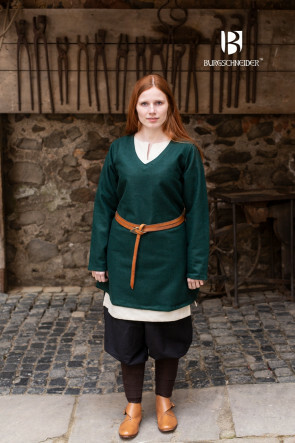 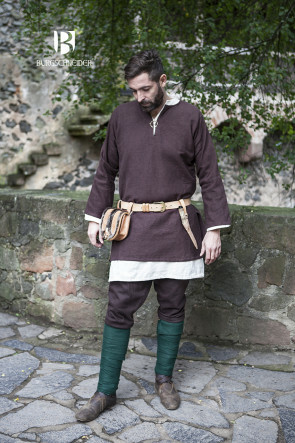 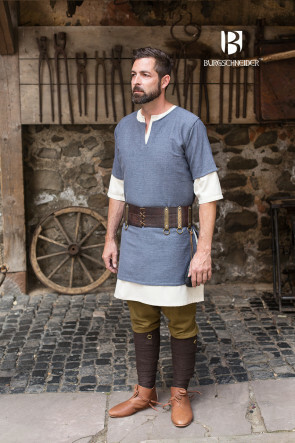 Because tunics were made from organic materials that are susceptible to degradation through aging processes, there exist only very few findings that are well enough preserved to afford a comprehensive idea about what the medieval tunic actually looked like. 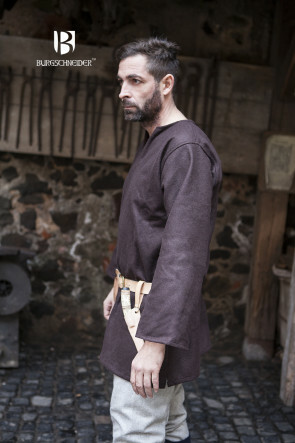 Therefore, today’s science draws most of its conclusions from text sources and paintings. 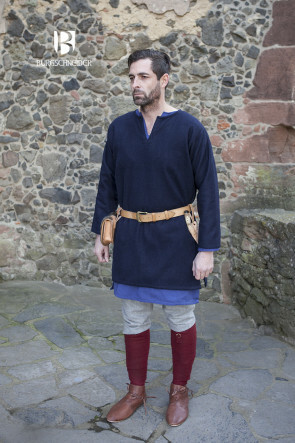 It needs to be pointed out, however, that usually it was only nobles who enjoyed the means to commission texts and paintings, and that they did so primarily as a means for self-portrayal. 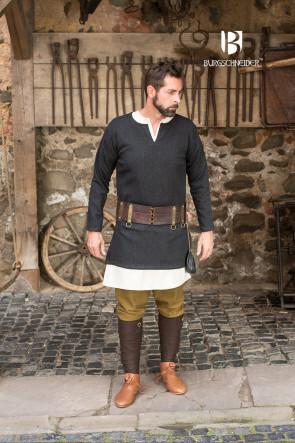 For this reason, very little is known about the tunics worn by the lower strata.